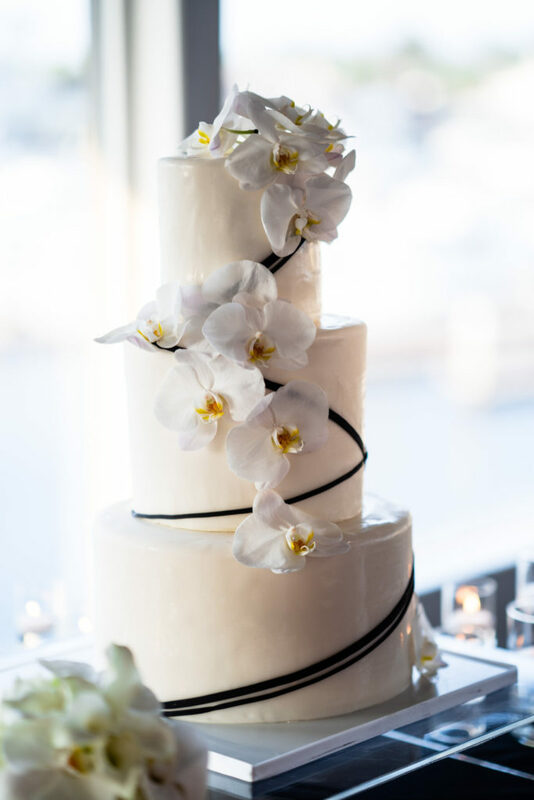 Get a nautical vibe with this luxury wedding that was held at the Huntington Bay Club. 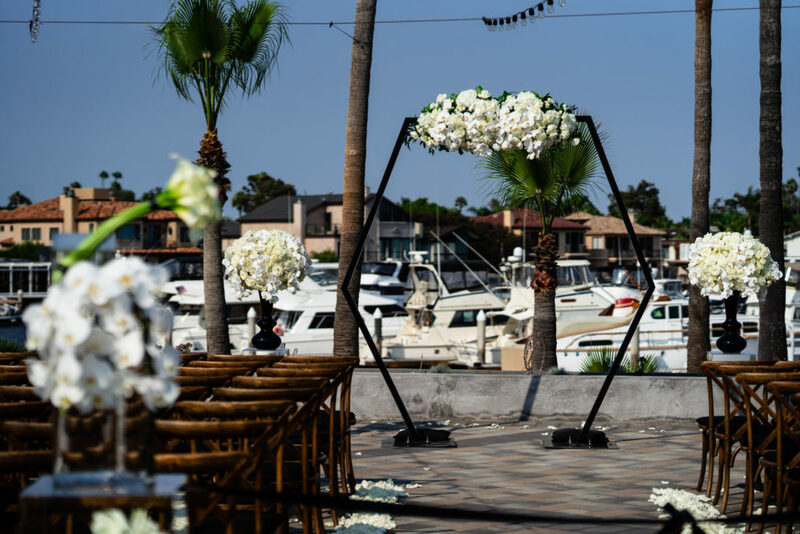 This seaside wedding was held outside the dock area and decorated with a more simple theme to highlight the beauty of the maritime theme. 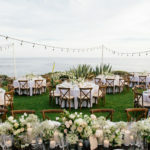 Guests enjoyed their reserved seating on wooden chairs facing the three-layered altar. A bit of an unorthodox design, three hexagon shaped altars stood amongst yachts outside the Huntington Bay Club. 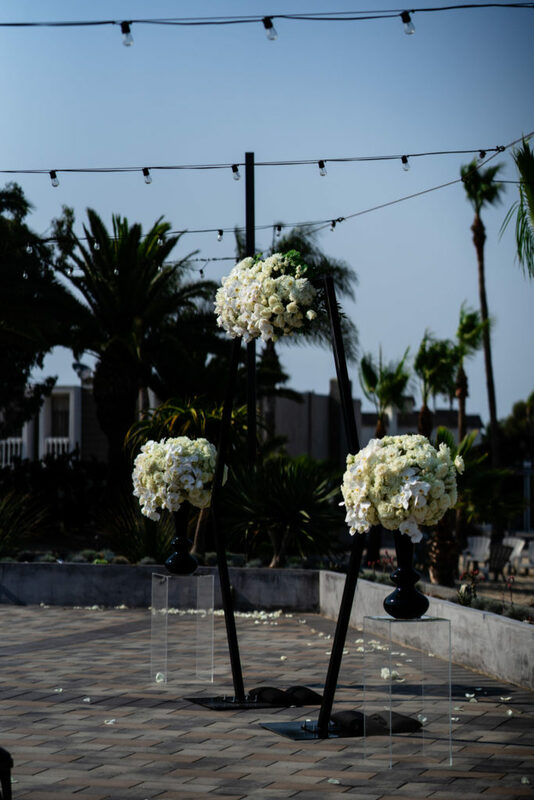 Each structure kept an arrangement of white flowers at its top center. 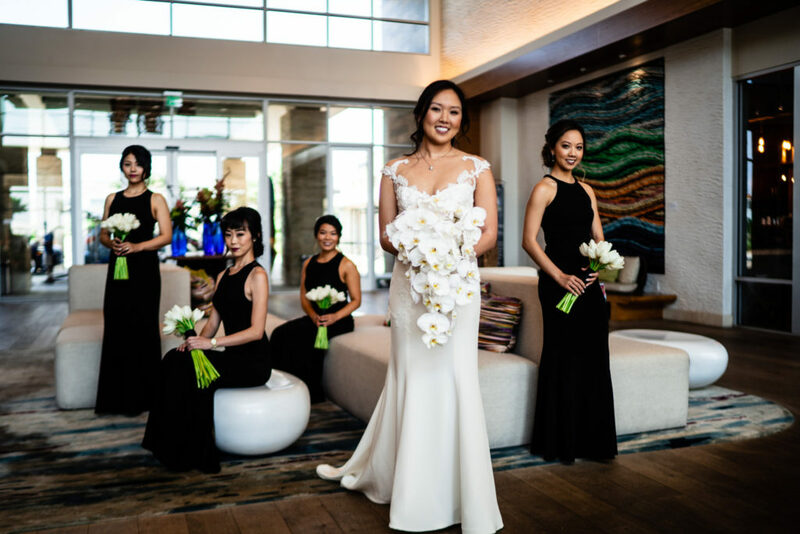 The view looked even better when the radiating bride walked in with her over-pouring bouquets of white flowers. 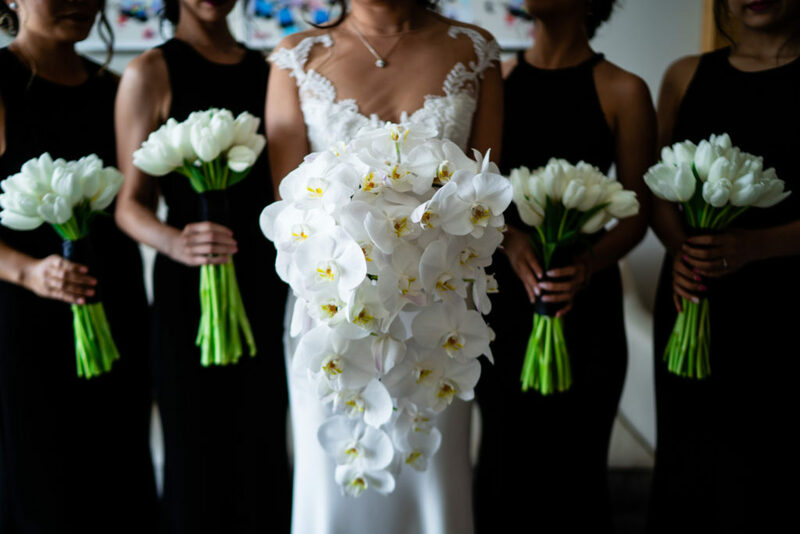 She was accompanied down the aisle by four bridesmaids who donned an all-black floor-length dress and carried matching white bouquets. 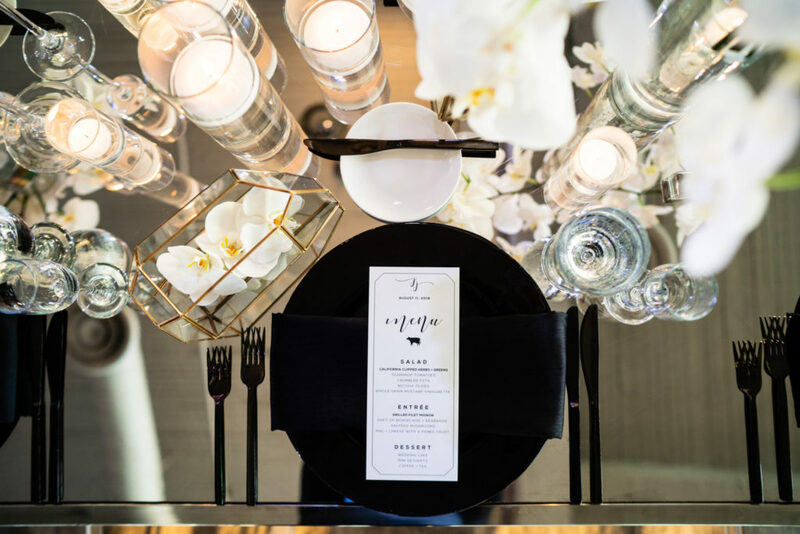 The party was completed with the Groom standing in a classic black-suit attire and four dapper groomsmen. 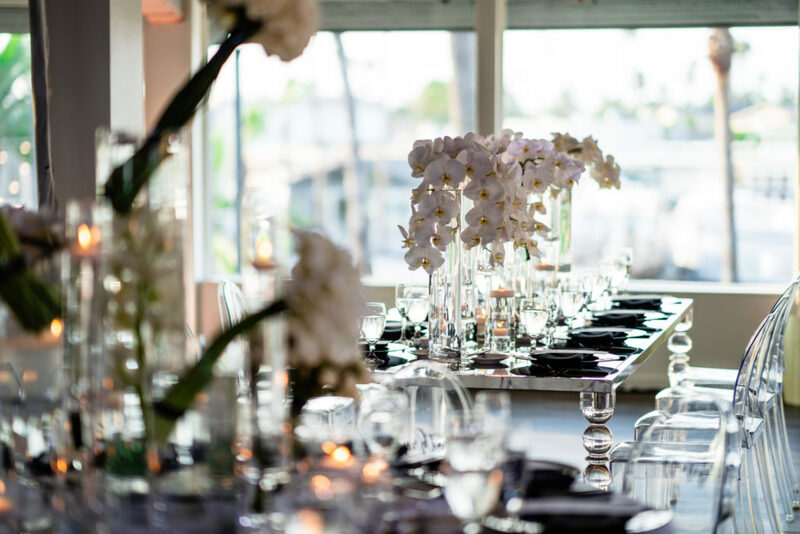 Find your seat with crystal chairs and tables that were marked with every guests’ name. 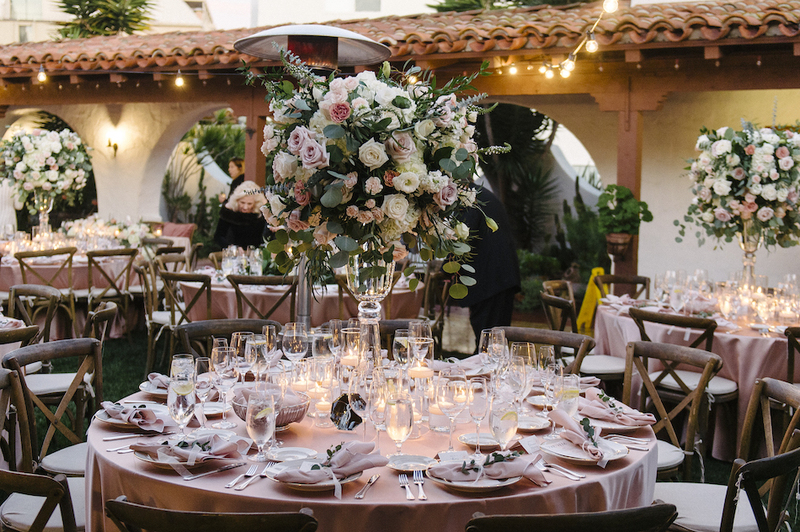 Alternating in style, each table held a common beauty mark with each displaying an abundant flower arrangement. 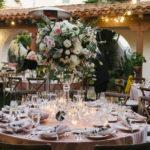 Guests finding themselves at the rounded tables were able to look up at the gorgeous, tall tulips that were neatly placed for decor. The party continued with delicious foods from 24 Carrots Catering and a piece of the three-tiered cake provided by Sweet Art Bake Shop. 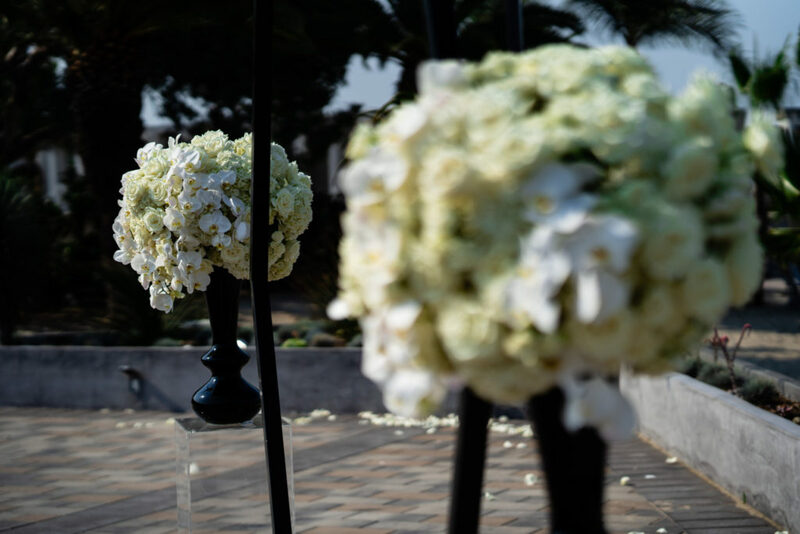 See below for more photos from Villa Visuals for this beautiful maritime wedding.